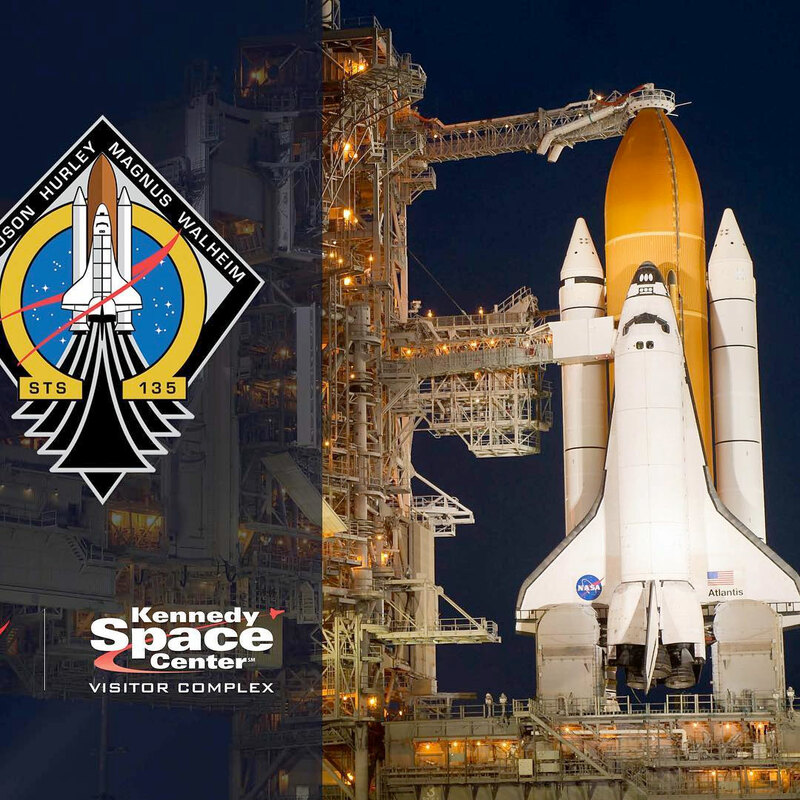 July 8, 2016; 10 a.m. - 2:45 p.m.
Join us as we celebrate NASA's Space Shuttle Program, and look to the future of crewed spaceflight at Kennedy Space Center Visitor Complex. 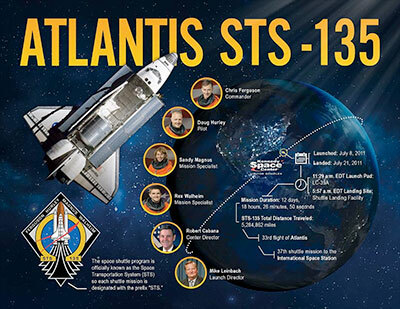 In July 2011, Atlantis flew the final mission, STS-135, after 30 years of space shuttle flight. STS-135 Commander Chris Ferguson, Pilot Doug Hurley, Launch Director Mike Leinbach and Kennedy Space Center Director Robert Cabana will be on hand to share stories about exploring space via shuttle and the last flight of Atlantis. Special events will be held throughout the day in Space Shuttle Atlantis, open to all visitors. Annual passholders can participate in an exclusive meet and greet event. Astronauts and launch director meet and greet for annual passholders only 10 to 11 a.m.
Astronauts and launch director autograph sessions 12 noon to 1 p.m.
"Tell Me A Story... LIVE" presentation at Space Shuttle Atlantis 2 to 2:45 p.m. Hosted by former CNN space correspondent John Zarrella. Anniversary souvenir available for all visitors. Events are included with daily admission to Kennedy Space Center Visitor Complex. For access to an additional exclusive meet and greet session, purchase an annual pass. 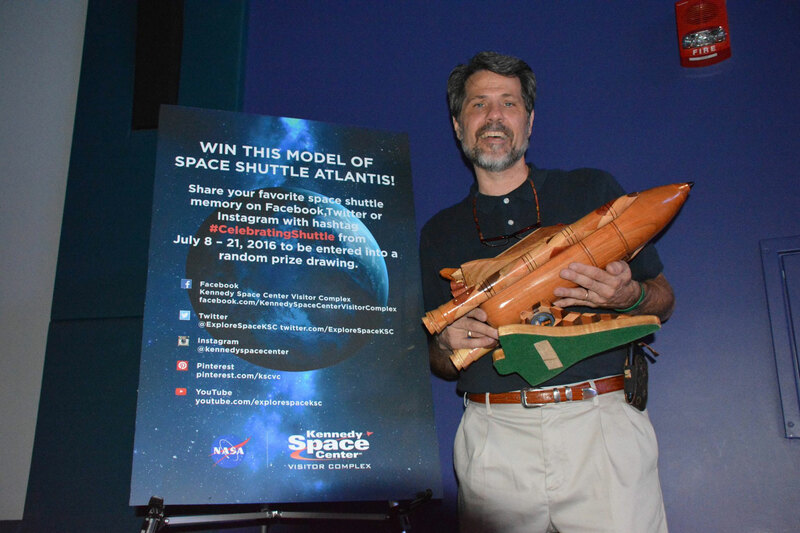 Mission Specialist Rex Walheim can't join us for "Celebrating Shuttle: The Legacy Continues" on July 8, but he encourages you to be there as we celebrate the past and the future of crewed spaceflight with NASA. Just curious, for anyone who attended this event, what was the souvenir? 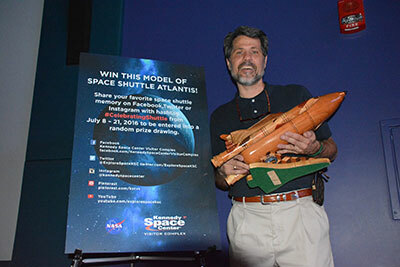 Our own Scott Phillips (cS: Shuttleman) was featured at the event, displaying his handcrafted wooden shuttle models and signing copies of his book, "Remove Before Flight." Submitting is easy and anyone can enter! Share your favorite space shuttle memory and publicly post on one of three social media platforms: Twitter, Instagram, or Facebook using the hashtag #CelebratingShuttle. One prize winner will be selected randomly from entries. Deadline for entries is July 21, 2016.